Dr. Jean-Pierre Vaillancourt, whose research interests include population medicine and public health issues in Veterinary Medicine, is a Full Professor at the College of Veterinary Medicine of the University of Montreal. He is also the coordinator of the avian medicine section of the World Veterinary Education in Production Animal Health, associated with the European School of Advanced Veterinary Studies, based at the University of Luxemburg. Dr. Vaillancourt received his Doctor of Veterinary Medicine degree (1983) and his Master of Science in Clinical Sciences (1986) from the University of Montreal and his PhD degree in Veterinary Medicine from the University of Minnesota (1990). Prior to returning to the University of Montreal, he held Faculty positions at the University of Guelph Veterinary College in Ontario (1990-1996), at North Carolina State University in Raleigh (1996-2004), and was a visiting professor at the National University of Mexico in Mexico City (2002-2003). Recently, he was also a visiting professor at the School of Veterinary Medicine in Toulouse, France (2017-2018). Dr. Vaillancourt has lectured and made over 300 scientific presentations worldwide on biosecurity and contagious diseases in swine and poultry. He has authored 79 peer-reviewed articles, 28 book chapters, two books, 165 conference proceedings, 54 posters, over 100 abstracts and two interactive multimedia training CDs. In 1997, he received the Bayer-Snoeyenbos New Investigator Award from the American Association of Avian Pathologists. 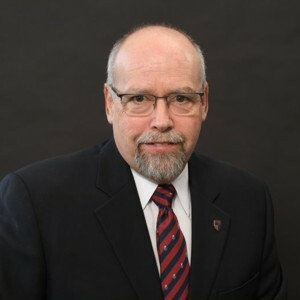 In 1998, he received the Outstanding Extension Service Award in North Carolina, and in 2000, he was inducted in the Academy of Outstanding Faculty Engaged in Extension at North Carolina State University. In 2004, Dr Vaillancourt received The Lamplighter Award from the US Poultry & Egg Association for his contributions to the American poultry industry on infectious disease research and on biosecurity. In 2012, he was elected as foreign member of the French Academy of Veterinary Medicine; and in 2016 in the National Academy of Medicine in France. In addition to his position at the University of Montreal, Dr Vaillancourt has served as coordinator of the Quebec team for the design and implementation of emergency measures for the poultry industry in this province, and has been the auditor-in-chief of Avian Influenza and Foot-and-Mouth disease simulations in Ontario, Quebec, New Brunswick, and France. He has served as director of the Epidemiology of Zoonoses and Public Health Research Unit (2009-2017) and as associate director of the Public Health Research Institute of the University of Montreal (2013-2017). He has also served as a member of Canadian advisory committees for the control of infectious diseases in poultry, pigs and beef cattle.